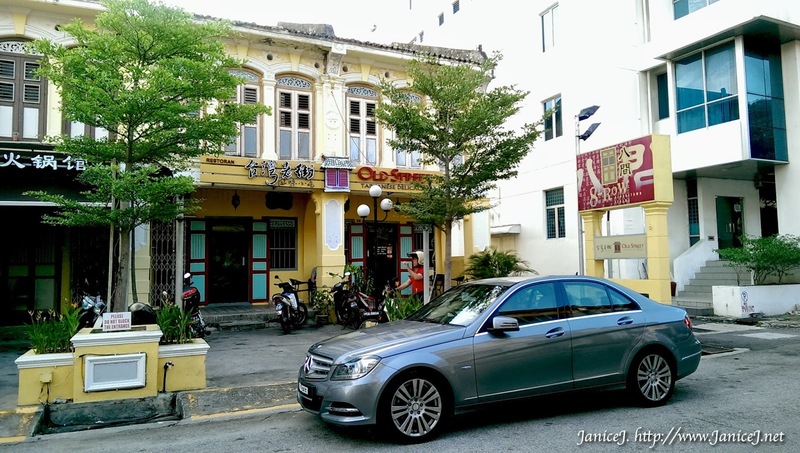 2 Jalan Krian, Georgetown, 10400 Pulau Pinang. 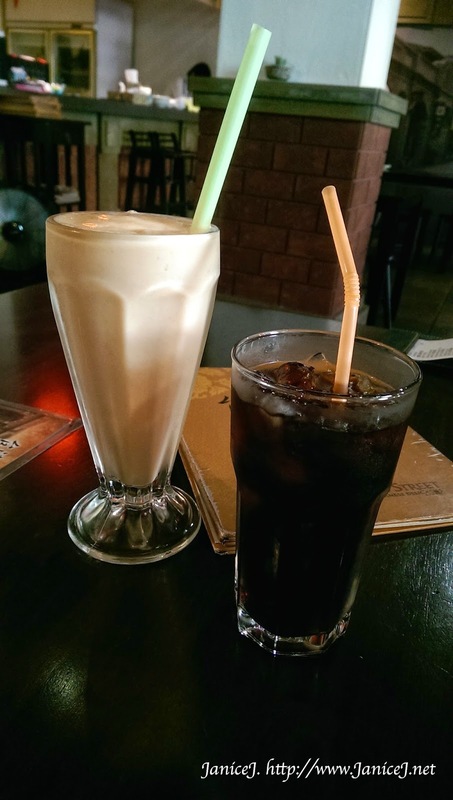 JaniceJ's Thought: Great foods, great environment. 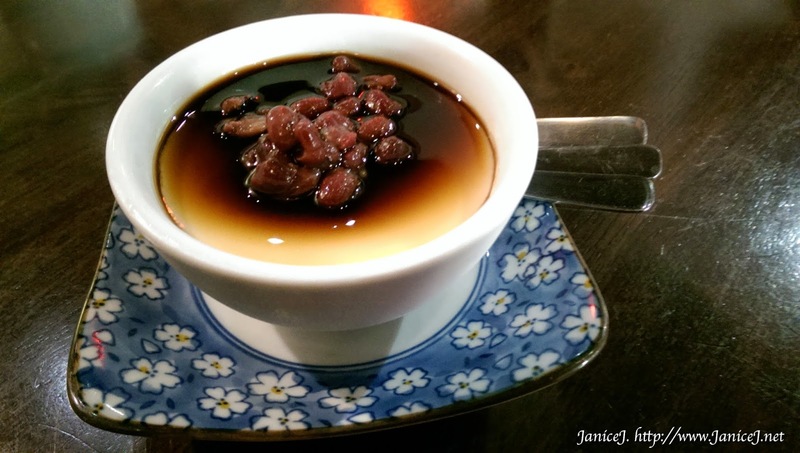 A must visit for Taiwan food's lovers, not to forget their friendly services too! 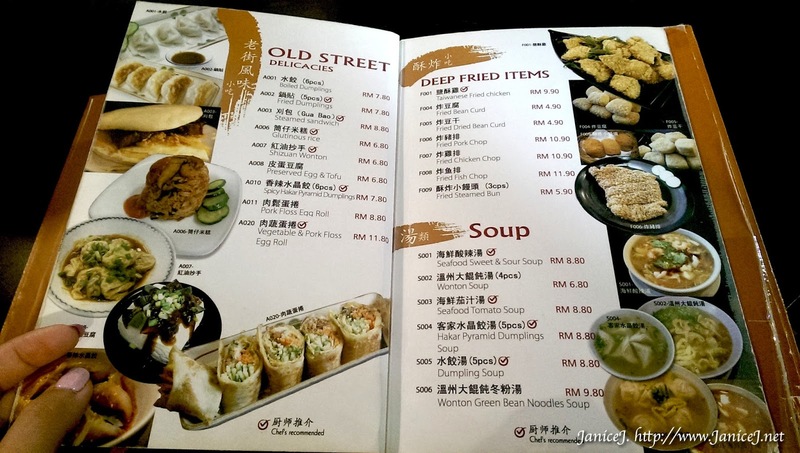 The restaurant is located in one of the private lane, with a humble touch of yellow on the building at Jalan Krian. Frankly speaking, I did not know there is such shop around until one day the mum decided to bring me over. 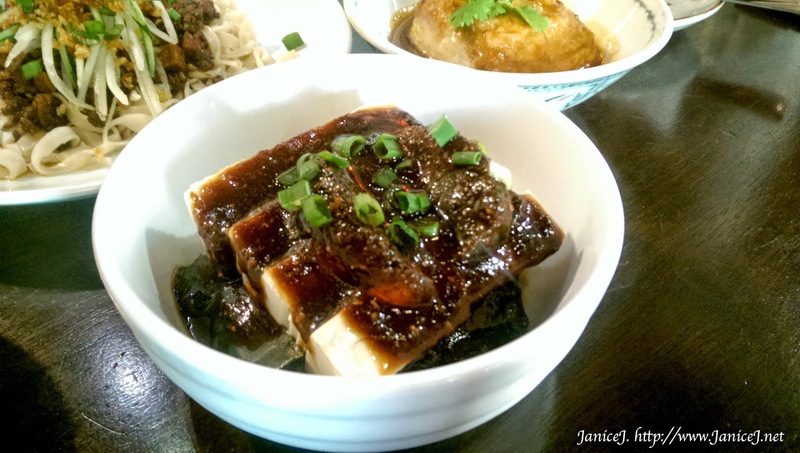 Mum has always been a fan of Taiwanese delicacy that reminds her of her years spent in Taiwan. 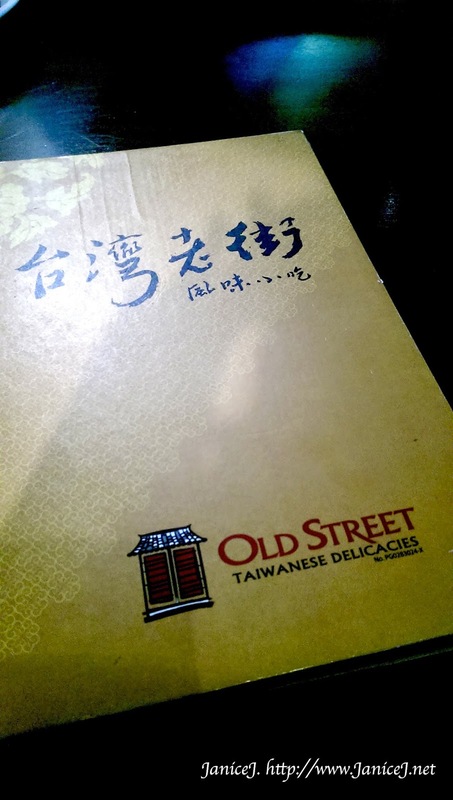 She do thinks that the restaurant serves dishes that is closest to the one in Taiwan. Owned by a pair of lovely couple, the female host was married to Malaysia 20 years ago. The shop was here since mid 2011, but nothing has changed. 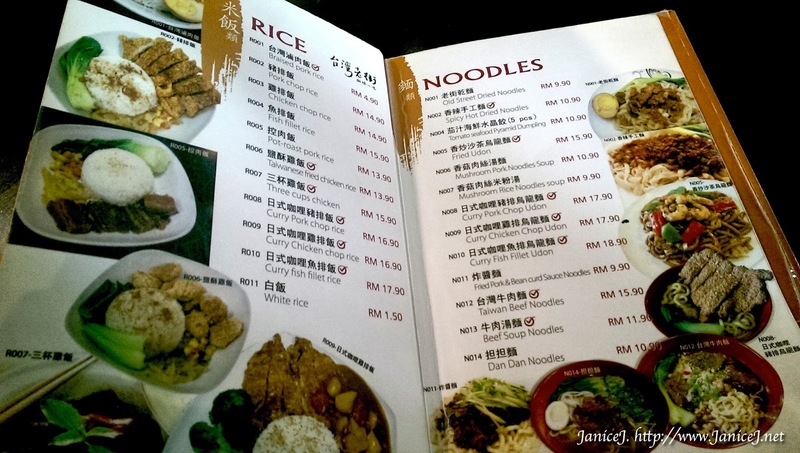 You can even read the story on the first page of the menu. 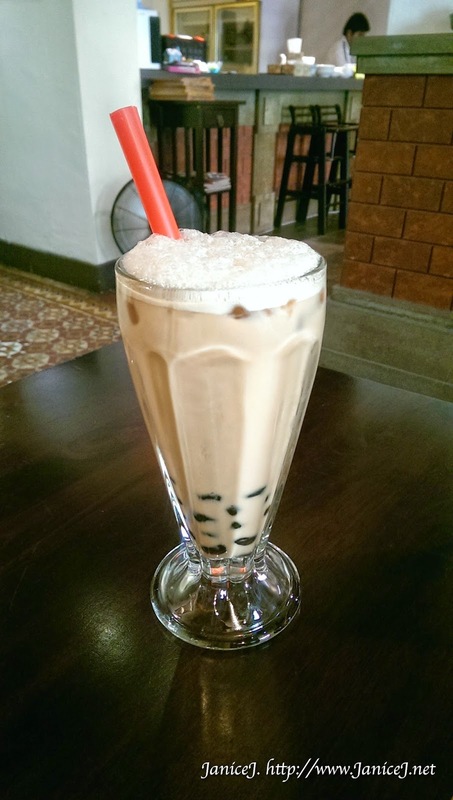 Foods that will make you drools fill up the menu, with reasonable price to be splurge on. 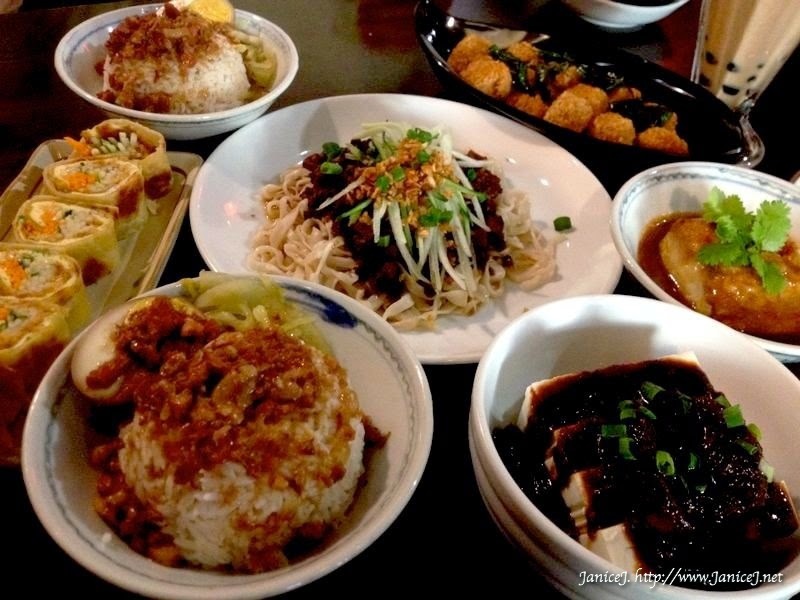 From types of rice to noodles, chicken pork and beef, there will sure one that will fit to your choices. It is really hard for someone with allodoxaphobia like me to pick my food. It then ended up with a full table of foods, for three ladies. 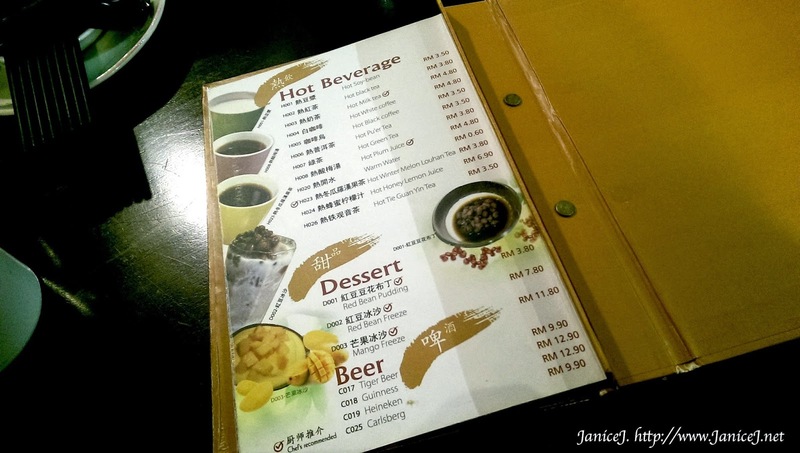 Iced Winter Lemon Luohan Tea (or Soya milk etc) comes as a set with any main dishes (+RM2.00). It also come with dessert, choice of ice cream or pudding after meal. 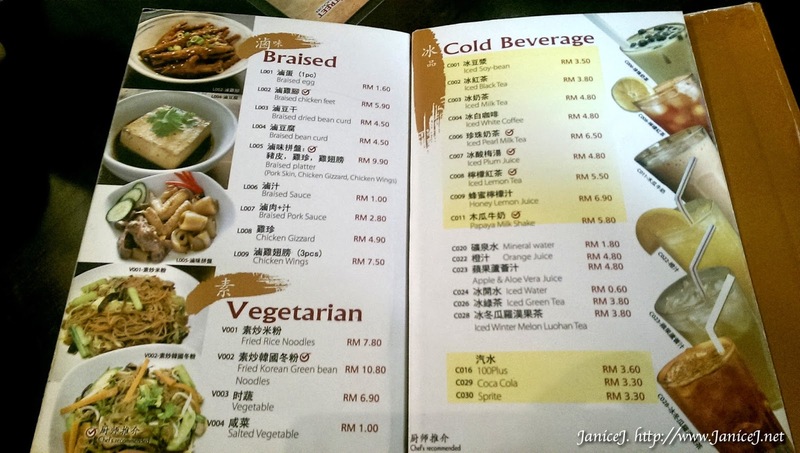 The meal cost us RM 92.50 if not mistaken, included the 5% service tax. but no government tax. 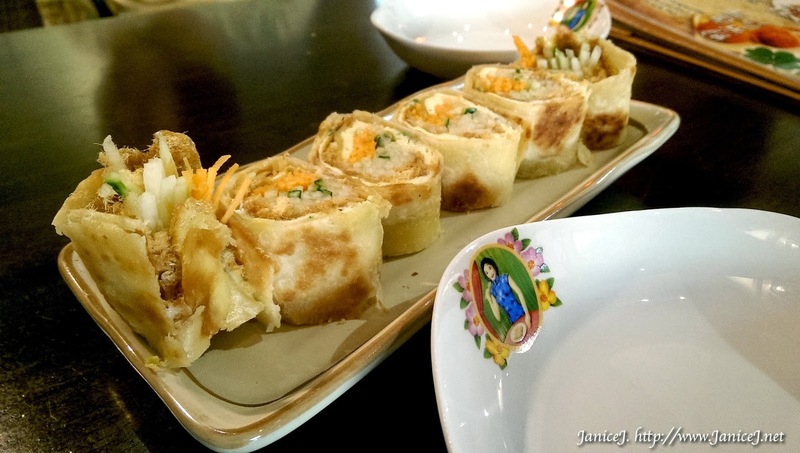 Pork Floss Egg Roll is crispy and rich in taste. It is wrapped in flour wrap and eggs. Inside there is cucumber, carrots and pork floss. The portion for Braised Pork Rice is quite big for me. It does keep my tummy satisfied. 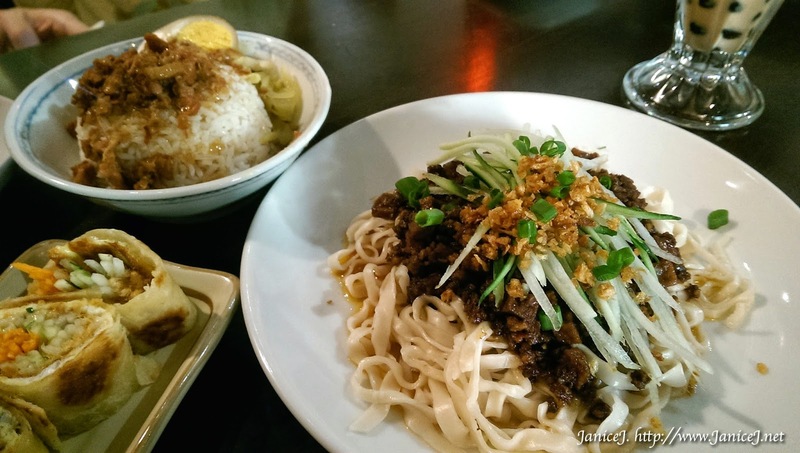 The Fried Pork and Bean Curd Sauce Noodles does taste good too. However, if you fancy spicy taste you would love to add in a spoon or two of the chilli oils provided on every table. One thing that is special of the noodles is that it is handmade, and none of the dishes have MSG, or any other unatural additions. This is my first time trying out this dish. It is consider as appetiser for me as the dish is cold. There is hint of ginger taste in the sauce but it is not that bad for people who does not like ginger like me. 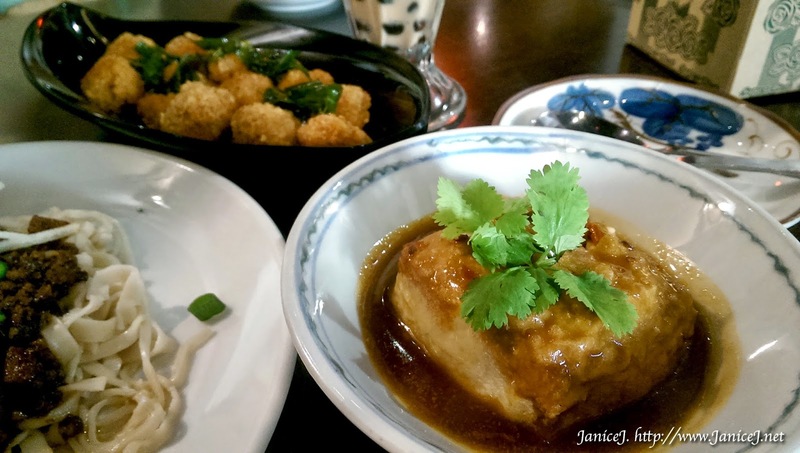 A must try new combination for people who like both tofu and ginger. This is a new dish on the menu. It is basically fried glass noodles in beancurd skin. 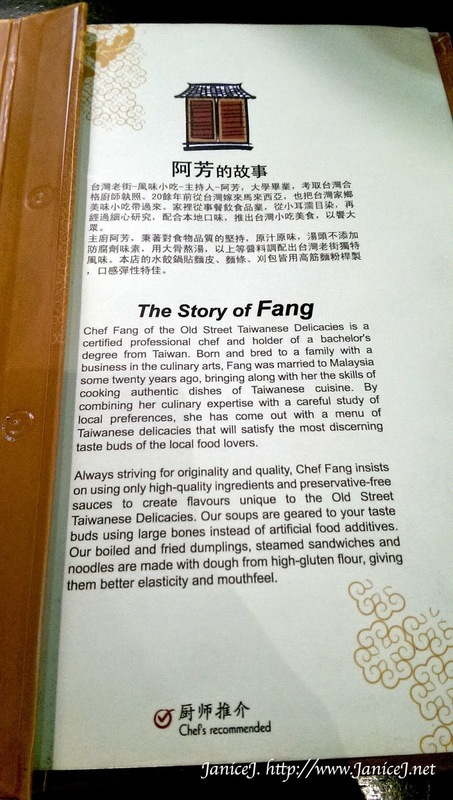 On the back, there is plate of taiwanese fried chicken. It is different from what you can get outside where you only get to eat the flour but not the chicken. Comes to my favourite. 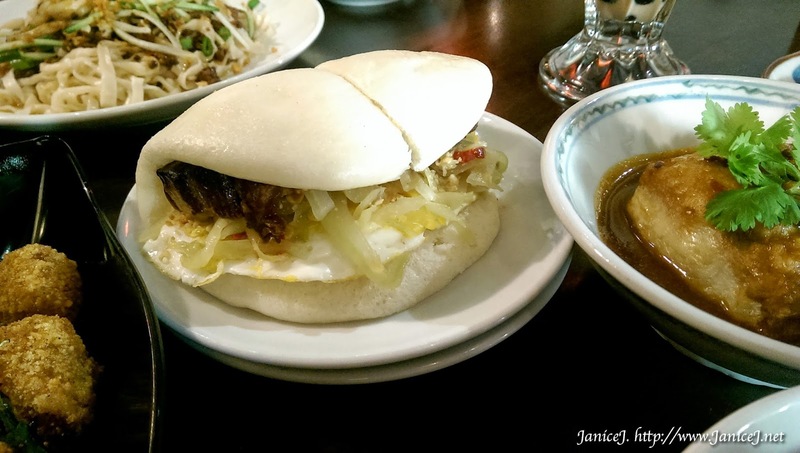 The Gua Bao. This steamed sandwich are handmade too. 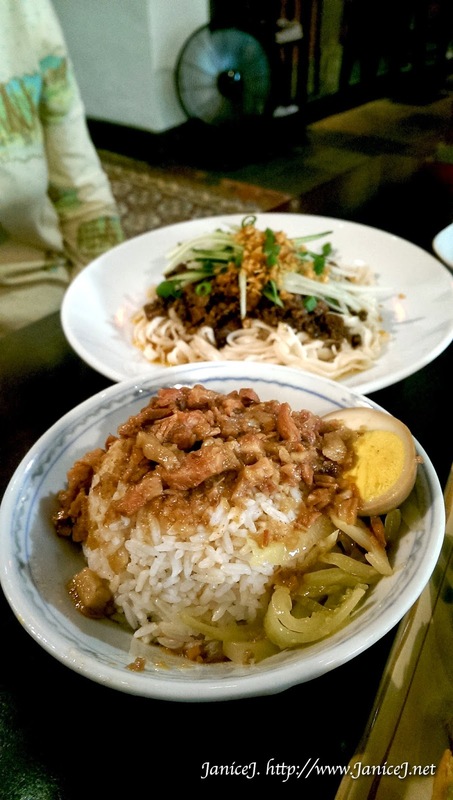 Inside there is fried egg, pickle vegetable, generous amount of peanut powder and stew pork belly. Two thumbs up for the pork belly. I love how it literally melts in my mouth. The oil layers are just right, complimenting the soft steaming sandwich. 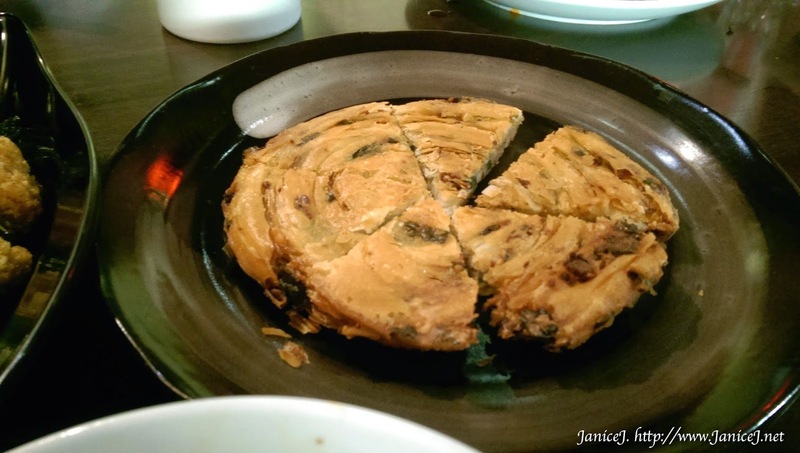 The fried chives cake is crispy and nice. It might be a little dry for some people but it taste good for me. Well, I hope I do not make you hungry. For those who are on diet, stay strong! 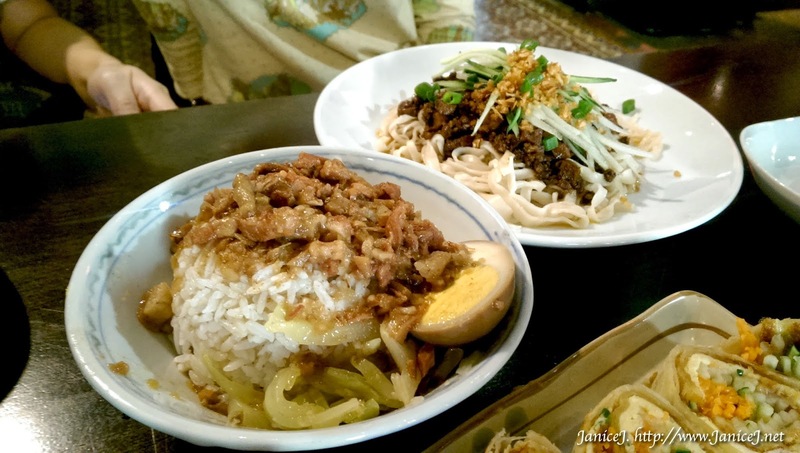 Have you tried any great Taiwanese Cuisine lately? Let me know!